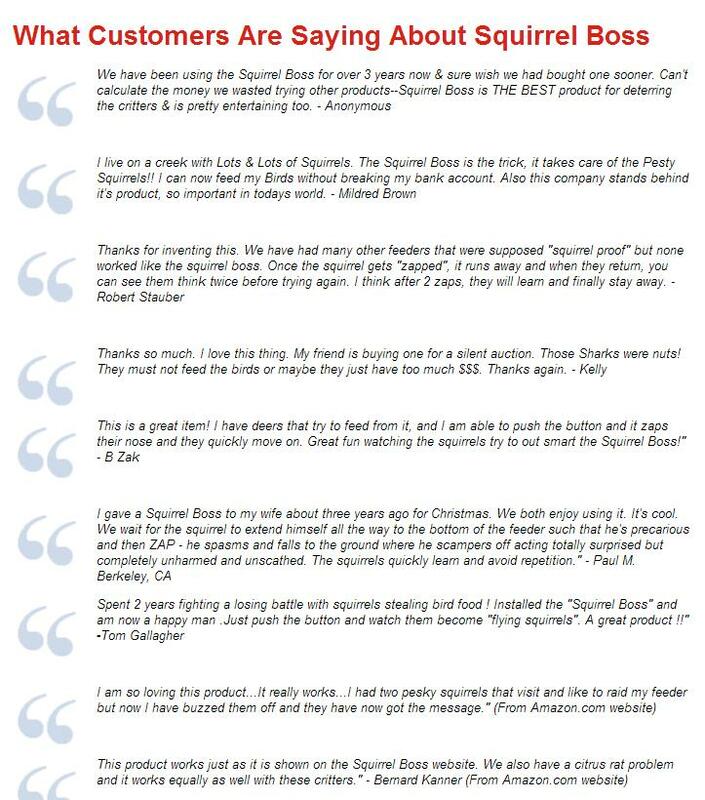 We are so very excited to announce that our store will be carrying the Squirrel Boss as Seen on ABC’s Shark Tank Friday night! If the squirrels are taking over your bird feeder and eating all the seed before the birds can get to it and you’ve tried everything you can think of and still can’t figure out how to keep squirrels out of bird feeders? 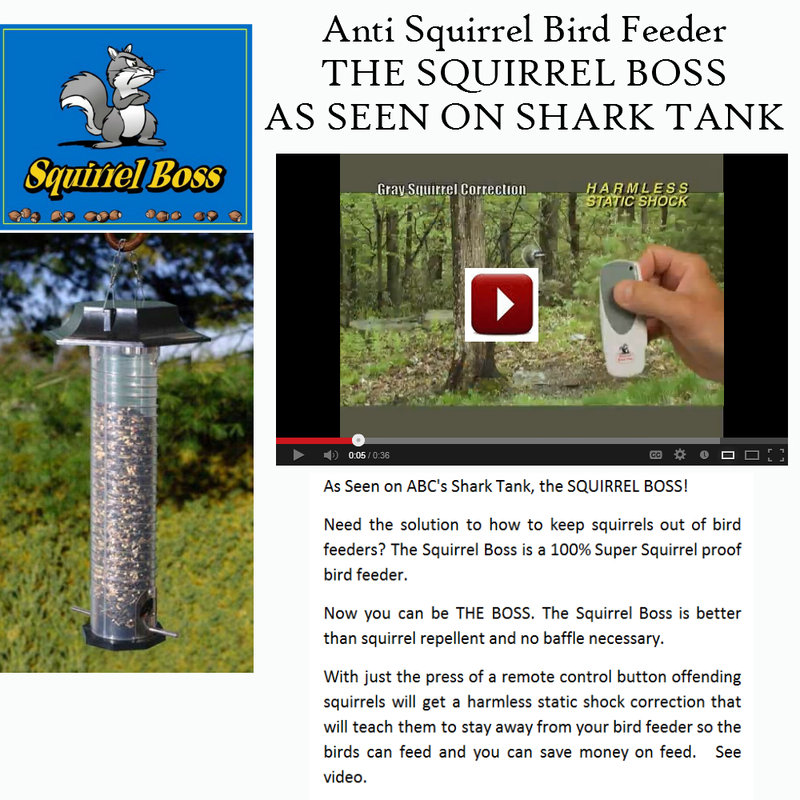 The Squirrel Boss is a 100% Super Squirrel proof bird feeder. Now you can be THE BOSS. The Squirrel Boss is better than squirrel repellent and no baffle necessary. With just the press of a remote control button a signal is sent to the solar powered top of the bird feeder and the offending squirrels will get a harmless static shock correction that will teach them to stay away from your bird feeder so the birds can feed and you can save money on feed. See the video on the order page for how it works. 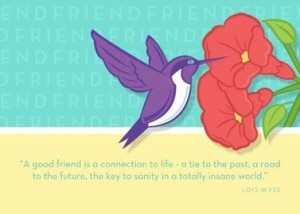 February 7th is “Send a Card to a Friend Day”. Now if that sounds to you like one of those frivolous holidays, it’s not and here’s why it’s important. Think about what you felt like last time you went to your mailbox and found that someone had sent you a card. I’m talking about that feeling you got when you opened your mailbox, swooped out the pile of envelopes and realized that someone had sent you a greeting card? Didn’t that feel wonderful? If it wasn’t your birthday or Christmas or some other time that you were expecting a card, it was even more of a surprise and might have even intensified that warm fuzzy feeling it gives all of us when we know that someone was thinking about us and took the trouble to actually act on it. When was the last time? Do you remember it? Wouldn’t you like to give someone you care about that feeling too? I know you would. Now if you can’t think of a reason to send a card to someone, let me help you with that. Reason #1 to send someone a greeting card. You are thinking of them. This is called a prompting. You are thinking about them and you have an opportunity right now to let them know that. Reason #2 to send someone a greeting card. You want to show Gratitude to them for their support or something they have done for you. Don’t put this off. All of us need to feel appreciated and too few of us receive the appreciation we deserve. Reason #3 to send someone a greeting card. 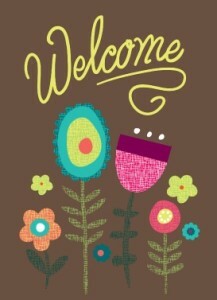 To welcome someone. Whether it’s to welcome a new member to a club you belong to or to a new neighbor who just bought a house in the neighborhood. A special welcome from you will make them feel especially welcome. There’s an easy way to do this. I’ve got something to share with you. It’s about a service that I’ve been using for years and one I think you might enjoy as well. It’s called Send Out Cards. With Send Out Cards, you completely avoid the hassle of sending a greeting card. You don’t have to drive to the store, select a card, look for the address, address the envelope if you can find it after all that stress looking for the address that you KNOW you saved somewhere, find or buy a postage stamp, and mail it. They take care of all that for you. With Send Out Cards, I can go online, create a card with my personal photos or choose one of over 15,000 premade cards, and click send. They print it, stuff it in an envelope, address it, put a real postage stamp on it, and mail it for me. All for under $1.00!! 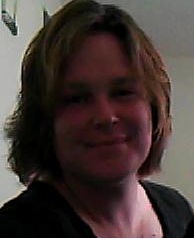 I love the service so much that I bought a wholesale account so I could use it for my business too. I’ll tell you what, I can show you much better than I can tell you. Why don’t we do this: I’ll arrange for a gift account for you and you can go try the service for free. I’ll give you two cards to send including the postage. My treat! Then, if you like the service, you can continue using it. For most people, the cost is under $10.00 a month. That is a small price to pay to keep you from procrastinating the next time you think of reaching out to someone. It takes away all of the hassle and even better organizes all your contacts so that you’ll never miss an important day again. If you want to remember someone with a gift, you’ll also be offered the opportunity to select from a wide variety of gifts and gift cards. There is something for everyone. Here’s all you have to do to take me up on my offer. Go over to my page at Send Out Cards by clicking here. Click Yes, when asked if you would like a walk-through and Send Out Cards founder and President, Kody Bateman, will walk you though how simple it is to use the service. Let me know if I can help you get started or if you’d like to have your own Send Out Cards account. P.S. 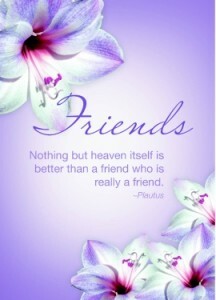 If you miss Send a Card to a Friend Day, don’t let that stop you from sending someone a card and making their day. Go ahead, stop procrastinating, there won’t be a better time than now. My daughter Natasha came up with this recipe and it’s just delicious! It’s a wonderfully sweet and spicy dish that’s easy and quick to make on a night you don’t feel much like cooking. It especially makes a wonderful meal on any winter evening when your bones just need warming up. We serve it with a simple side salad and if you’ve got it, a glass of nice wine goes well with it also. We don’t have a name for it but we’ve been trying to come up with something to call it. Maybe you have an idea for a name for it. Suggestions are encouraged and most certainly welcome. In fact, if you leave your idea for the recipe name in the comments below and we choose yours, you’ll win our favorite slow cooker recipe cookbook! Go ahead. Try the recipe and then let us know what you think we should name it. In a large skillet over low/med heat, saute the cubed sausage, cubed apple,and the the cranberries until the apple is tender. 10-15 minutes should be good. Add the apple juice or water to the pan as needed to keep the apple from drying out. While the sausage and apples are cooking, prepare the brown rice according to the package directions except substitute the chicken broth for the water. Depending on how many you are cooking for, use equal parts of the rice and chicken broth. 3 cups of rice and chicken stock makes 4 large servings as pictured here. When the rice is done, add the partially thawed bag of frozen squash to the rice, cover, and continue on low heat until the squash is tender. 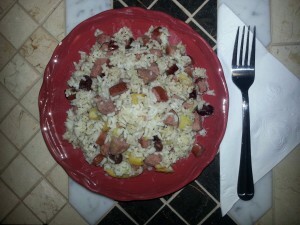 Mix the sausage mixture to the rice mixture and fluff with a fork to mix. Enjoy and be sure to let us know how you liked it! P.S. Don’t forget to sign up for our newsletter and as a subscriber you’ll be on top of all the best tips, recipes, finds,buys and news delivered directly to our subscribers only list. Simply complete the form in the top right-hand corner of this page. It’s the start of a new year and many of us have made resolutions we may or may not have already given up on. I gave up on making resolutions a long time ago but I do still try to make positive changes to my life on a regular basis. 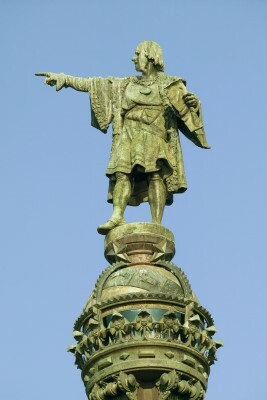 New information frequently makes me change something I’m doing or thinking. Toxins! Specifically shower curtains and bath safety mats made with PVC. In the Home and Garden section of Sunday’s edition of the Post & Courier, yes I still get the newspaper, I found an article that gave me some concern. Now I’m not a germaphobe or anything like that. I don’t freak out upon reading something that scares me but I am willing to make changes when it makes sense to do so. I do enjoy keeping up with things and pretty much everything in my home has a place. I’m a bit of a neat freak but by no stretch of the imagination am I an ecophile but I do feel responsible for doing my part. I try to be environmentally conscious and I’m always baffled as to why I’m the only one on my street who sets out recycling every Wednesday night and so on. That being said, the previously mentioned article made me want to run screaming and tear down my shower curtain! 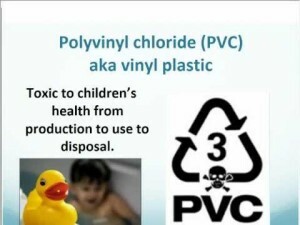 Did you know that Polyvinyl chloride, more commonly known as PVC is suspected of causing developmental delays, liver damage, and respiratory problems? Do you realize that this same PVC is used in plastic shower curtains and bath safety mats as well as many other plastics in your home? I didn’t! I knew about the piping of course but honestly, I never gave any of it much thought. Evidently, I need to replace my vinyl shower curtain liner with one labeled PVC-Free. They are made with a safer plastic known as EVA. The second option of course is to use a cotton or polyester liner. Now I don’t know whether my shower curtain has pvc in it. I may not. I don’t know because there is no way to tell once you’ve thrown the packaging away. I’ll pay more attention in the future. In any event, I’m doing a lot of updates around my house right now and now is as good a time as any to get a fresh shower curtain liner and bath mat. I browsed around the web, checked out the Target website and finally decided on a extra long shower curtain liner at Amazon. Although, I’m big on reading reviews and there is only one review for this product, it was given a 5 star rating by the reviewer. She really likes it and says she would buy again in the future. It looks like what I need anyway. Soft Sensations Clear PVC-free Extra Long Shower Curtain Liner . It’s mildew resistant and I always buy the extra long shower curtains because I make a mess otherwise. This one is great because along with all that, it’s pvc free. One last thing, while we are on the topic of toxins in the bathroom, if you are like me and have a thyroid problem, you might want to swap out your soap. According to the article, Triclosan is the main ingredient found in many antibacterial hand soaps, gels and body washes. There is evidence that the ingredient interferes with thyroid function and, if that’s not enough or you don’t have a thyroid problem, Triclosan is also linked to creating “superbugs” that are resistant to antibiotics. So what’s the alternative and possibly more healthy way to suds up? It turns out to be a very simple solution actually. According to the FDA, “there is no evidence that Triclosan in antibacterial soaps and body washes provides any benefit over washing with regular soap and water.” So there you go. Sometimes the old stuff IS still the best stuff! Well, that’s it for today. I feel better about my own bathroom and about letting you know about the secret dangers lurking in your own bathroom. Shouldn’t the packaging have to give a warning about this or am I just being over sensitive? P.S. Hey ya’ll, don’t forget to sign up for my newsletter. 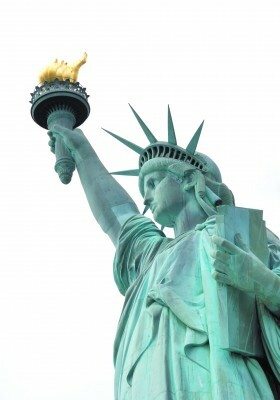 There are some big changes taking place here at GardenDecorativeItems.com and my newsletter subscribers are always the first to know about happenings around here. You’ll get my best tips, excerpts from my posts, home and garden projects, and advance notice about contests on the site. Watch for the February edition for some big news! P.S.S. Be sure to share this info with anyone who has children. This knowledge might save some family a lot of heartache. Happy New Year southern gardening enthusiasts! It’s January 2013! I’m excited to get this year started as it just feels like it’s going to be a great year! I know it’s cold in some parts of the county but here in the Charleston, SC we’ve had the most gorgeous weather I can remember in January. So… just because it’s January doesn’t mean that there aren’t plenty of things to do for gardening enthusiasts in the south! Winter in the south is almost always a sort of on again, off again, kind of thing. At least it is here in Charleston where I live. In most parts of the south, there are always at least a few sunny days in January that are good for getting outdoors and if you are like most southern gardeners you love spending those days doing a little work around the garden and around the yard in general. Fill your feeders with high energy foods for your feathered friends. Providing Suet and high quality seed in the winter will have the birds flocking to your yard! 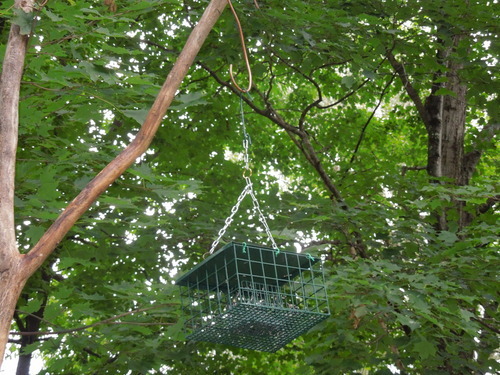 My favorite is my Songbird Essentials Squirrel Resistant Suet Palace pictured in the tree. I love all the Songbird Essentials products. Most of them are guaranteed for life! As for the suet to fill the feeder with, while it’s true that there are many commercial varieties of suet are available on the market, I’ve got an easy recipe for making your own suet here. In the lower coastal and tropical south there are plenty of choices for flowers that you can plant now in areas that you can provide full sun. A couple of my favorites are sweet peas and petunias but there are many more that will withstand the cooler weather temps if given enough sun. In the tropical south, even impatiens, marigolds, and geraniums can generally be planted. My favorite winter flower actually comes from a shrub. 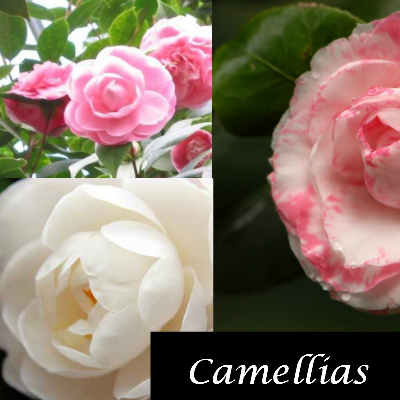 Camellias are affectionately known as “the roses of winter” and are the Alabama state flower. They make fragrant and long lasting little arrangements for putting around your home. I put the flowers in short vases and put them everywhere. The fragrance is heavenly! As long as the ground isn’t frozen, January is the perfect time to plant these shrubs. You can also get a head start in colder areas by planing them in containers and moving them to the ground when it thaws in the spring. The same is true for Winter Honeysuckle. Plant these shrubs near entryways and windows you like to open for fullest enjoyment. 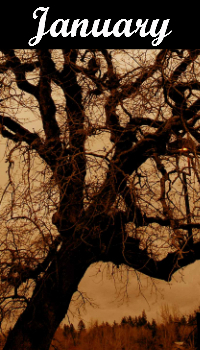 As a general rule of thumb, any tree that can overwinter in your part of the south can also be planted at this time providing the ground isn’t frozen. You can start some leafy vegetables indoors as soon as you get your seeds! Getting the jump on your seed order means you can get a jump on starting your seeds indoors, saving money, and enjoying your garden earlier. Go ahead, order your seeds and any other supplies that you know you’ll need with this January coupon worth 15% off your order of $60 or more with code GARDEN1560 through 2/1 at Burpee.com! Now is the time to spread annual rye-grass if you want to keep a green lawn all winter long. Looking out on a green lawn always makes the world seem a little brighter in a dreary month of the year. Get your soil tested to see if it needs Lyme. Visit your local Extension office for info on how to do this by mail. Note: Never add Lime without testing soil first! You can also stay on top of your soil and prepare for your spring vegetable garden by tilling and adding some organic matter to your soil to keep it loose and hold in moisture. Do a little of this on dry days consistently over the winter months and your spring vegetable garden will be ready for planting those plants you started indoors. On days when it is too cold to get outside, that’s a great time to begin a garden journal. A journal with information about the next 12 months will be invaluable in making future gardening plans going forward. There’s no better time than January to get this going! Make notes about all your observations and especially those regarding weather conditions, what and when and how you planted, when things bloomed, what worked, what didn’t, and what gave you the most enjoyment. Well, I’ll bet there is more to be done than I’ve mentioned but these are the tasks I’ve got on my mind this month and what I’ve been focusing on. Wishing you a happy new year and a great month of gardening in January. P.S. Don’t forget to subscribe to my gardening tips newsletter and get my best tips, fun projects, and great offers I find around the web. 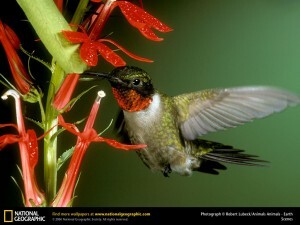 Hummingbirds | Nesting, Food & Facts | Free Nectar Recipe! Here you will find everything a hummingbird lover would enjoy. Whether you want to attract the Ruby hummingbird, also known as the ruby throated hummingbird or one of the other 16 kinds of hummingbirds found in the United States, you can attract Hummingbirds to your yard! In the store you’ll find Hummingbird feeders, hummingbird food; called hummingbird nectar, information on the migration of the hummingbird, hummingbird nesting materials, and hummingbird gifts for the hummingbird lover such as hummingbird art, planters, stained glass, spinners and more all in the hummingbird motif whether for use as garden decorative items or home decor. 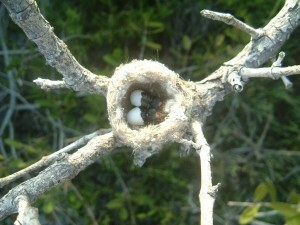 A hummingbird nest is not much bigger than a quarter, and often it contains just 2-3 eggs no bigger than small peas. it’s typically hard to see, as it blends in well to the tree branch it’s attached to, and is made of fine animal or plant down and moss or lichens. 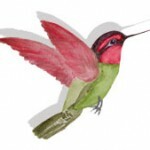 Hummingbirds have been proven to really take to a product called “Hummer Helper Nesting Material“, which provides a natural replacement for some hard to find materials. This item is sold in a convenient holder in the garden shop section of the store or you can find it by clicking the link above. Hummingbirds, like many birds, need and are attracted to water. 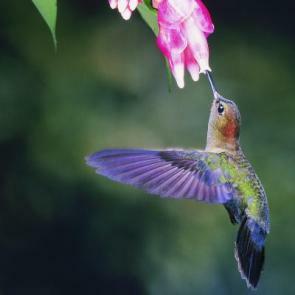 One of the best ways to attract hummingbirds is with a “mister” that emits a fine spray. Hummingbirds beat their wings about 78 times per second. During a display dive, their wings can beat up to 200 times per second. Hummingbirds like all other birds, have no sense of smell. They have about 1,500 feathers. They consume half of their body weight in food every day. 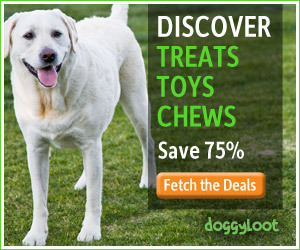 That would be like an average child eating about 40-50 pounds of food a day! During migration, they must fly 500 miles nonstop over the Gulf of Mexico to reach their wintering grounds in Mexico and Central America. To make the trip, they must eat enough so they weigh 1 1/2 times their usual weight. They can fly at speeds of 60 miles per hour and can fly forwards, backwards, up, down, sideways, and even upside down briefly, but they can’t walk. Avg speed is 30 miles per hour. The average life span is 3-5 years. Maximum 12 years. Diet: Nectar and small insects such as gnats, ants, and flies. More information can be found in the books & DVD’s available in our shop. One part ordinary white cane sugar to four parts water. Boiling the water for several minutes before measuring can retard spoilage in the feeder by a day or two; if you measure first, some will boil away and mess up the proportions. Stir in the sugar while the water is still hot. let cool before filling the feeder. Store unused nectar in the refrigerator for up to two weeks. Our hope is that you will find this information helpful in your ability to attract these wonderful little birds. Hummingbirds will bring you many hours of pure enjoyment! If you want to attract hummingbirds to your yard and start enjoying more of these tiny birds, I’ve put together a kit of everything you need to start enjoying hummingbirds from early spring until migrating starts in fall. Get it here.